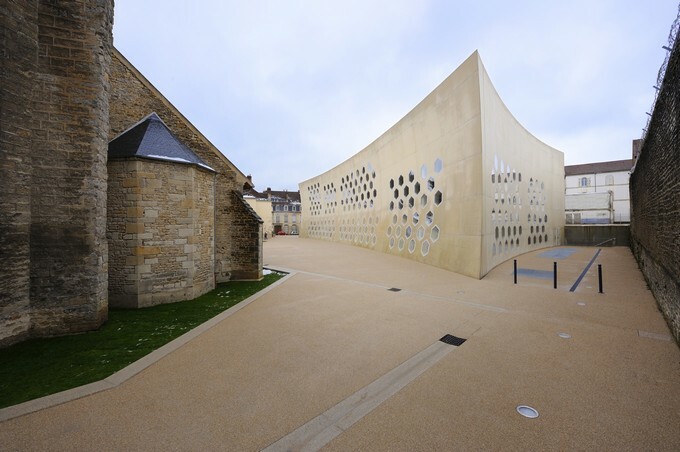 The Lons-Le-Saulnier cultural center is a modern educational center. The specifier needed a decorative floor with a minimum of joints. The floor had to fit the buildings architecture with a pure and minimalist design. An off-white color was selected to highlight the natural daylight, the open structure of the building with special day-light openings and to be associated with vibrant furnitures and wooden elements. The white continuous floor emphasizes the volumes in a peaceful working space. The substrate was a concrete floor with waterborne heating pipes. As a primer a 2 component epoxy primer weberfloor 4712 with sanding was used. After drying the decorative light-colored weberfloor 4650 was applied in a 10 mm thick layer. Afterwards a wax surface treatment was applied.